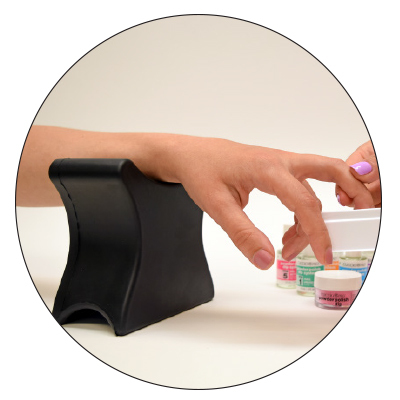 Rubber arm rest helps clients sit comfortably during manicure services. 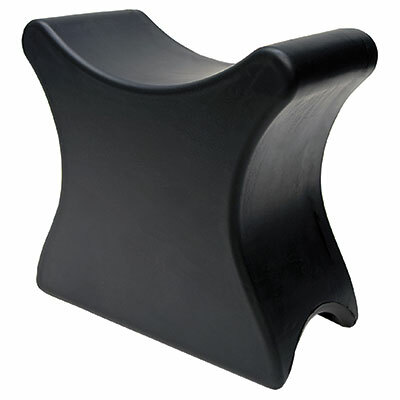 The contoured design provides optimal support and comfort for arm and wrist. Sits perfectly on tables. Water and chemical resistant. Easy to clean and sanitize. Measures 8"H x 6"W x 3"D.